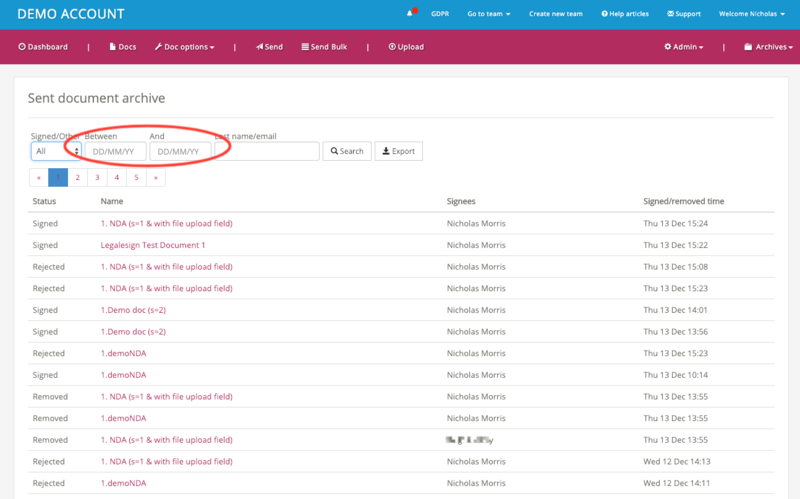 Legalesign users can search for individual documents or groups of documents in the 'Sent for signing' list on the Dashboard and in the 'Sent Document Archive'. 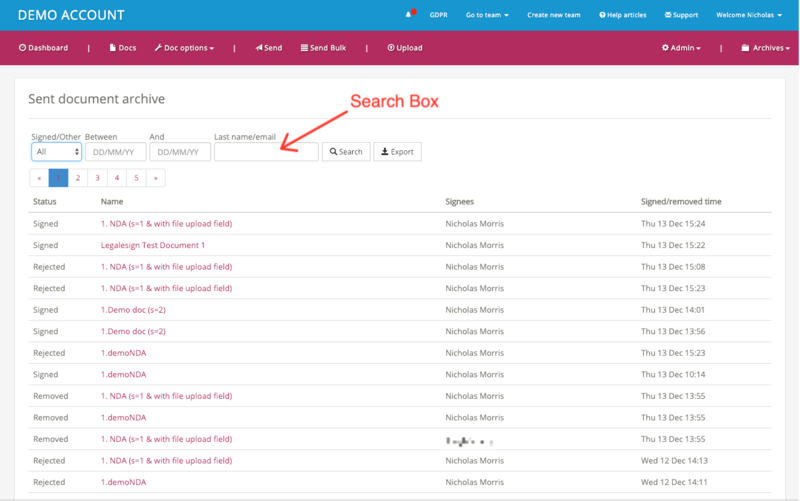 Using the quick search text box, just above and to the right of the document listings, Legalesign users can search using a signer’s email or last name, as well as by the document name. 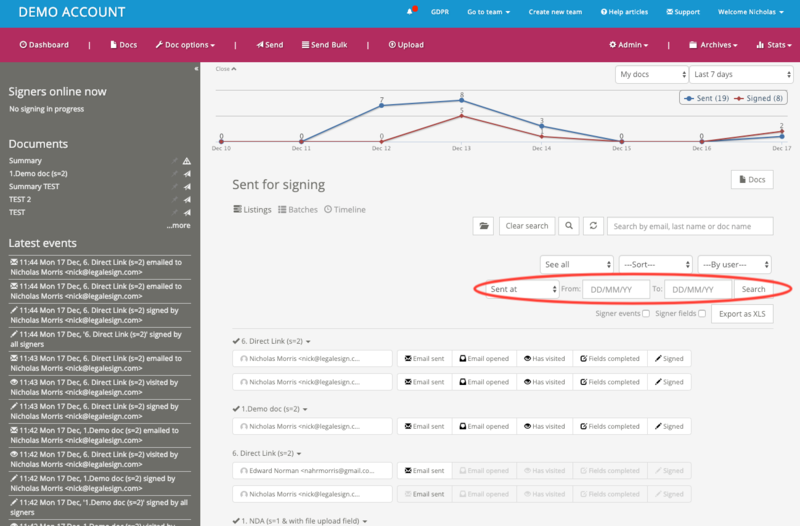 You can also do a 'startswith' search on your signer last names by adding an asterisk. For example for everyone with a surname starting with 'w', write 'w*'. Click the Advanced Search button to reveal several more options. Filters on the documents – e.g. 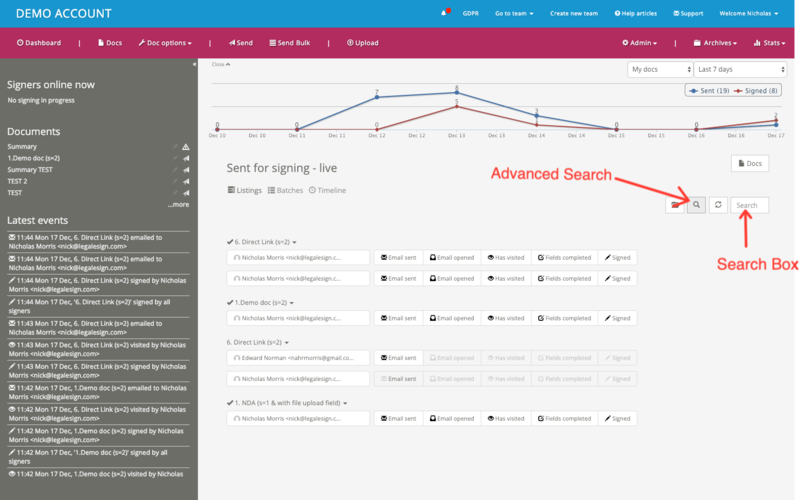 activity since and signing status (signed, unsigned, visited). Ordering – e.g. alphabetical or by last action. By user - e.g. documents sent by a particular user within the team. Each section works separately and remembers its settings unless changed or cleared, so you can chain multiple filters together. You'll notice the input boxes with date formats marked 'from' and 'to'. 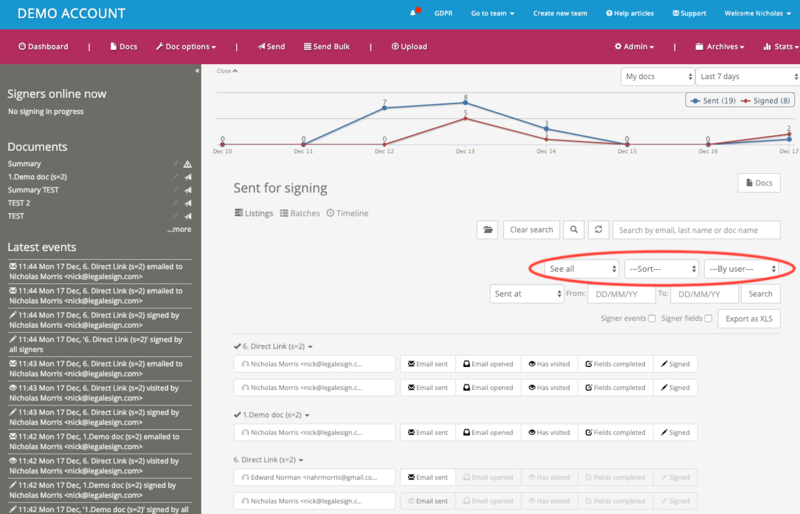 Use those to filter documents either sent, or signed, within a specific time period. That should do it for your search. Click the 'Search' button. However, the lowest line in advanced search enables you to export the search results to an XLS file. 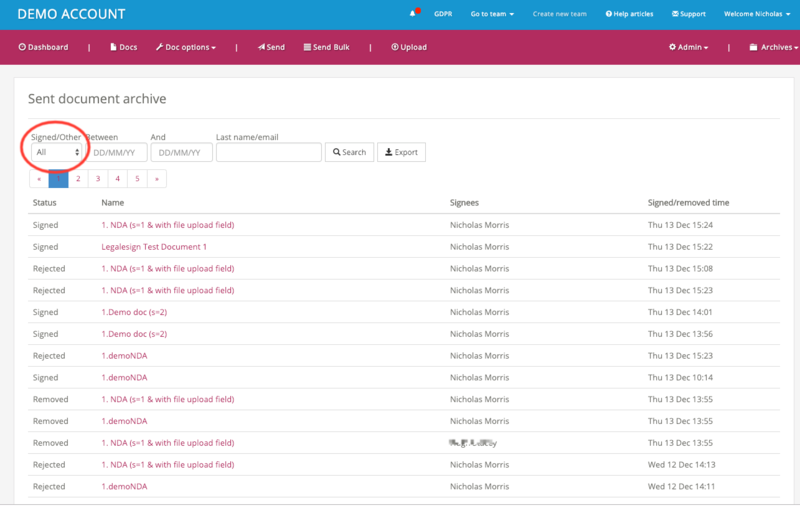 The 'Sent Document Archive' can be accessed through the Archives tab in the top right of the dashboard (Archive > Signed Documents). Use the Search box to search by signer’s email or last name. Or use the dropbox filter to display either Signed documents, Rejected documents (by the signer) or Removed documents (by the sender). Lastly, users can also display all documents either sent within a specified period or signed within a specified period.